This one should be a little easier to spot than the last one, but pretty cool just the same. 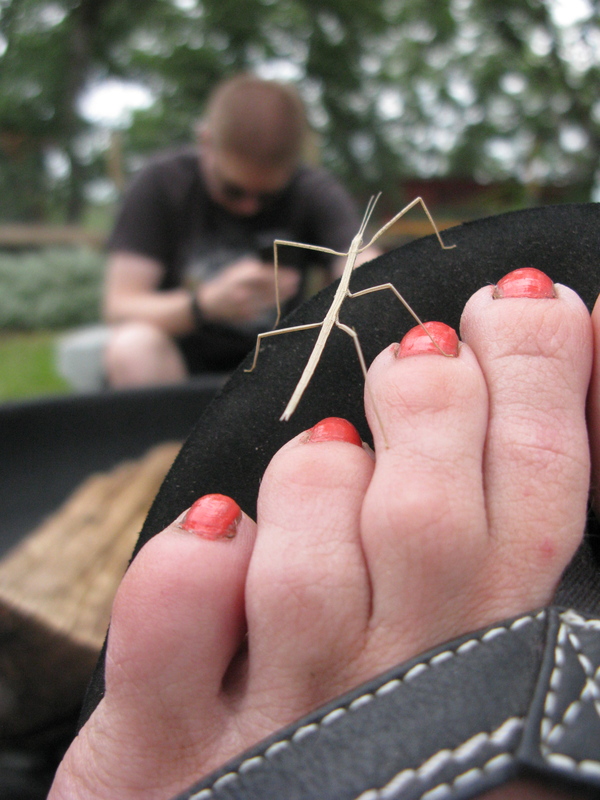 We were sitting in the adirondacks again, man do I look lazy lately 🙂 I got up to show my friend how pretty the sage flowers are and when I sat back down, I had this little guy on my toe. 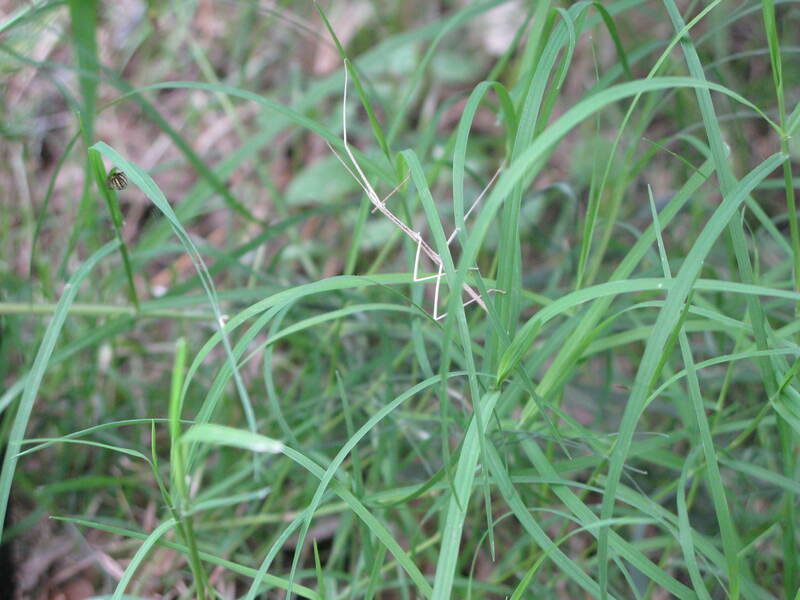 I thought it was a dry blade of grass until I saw him moving.